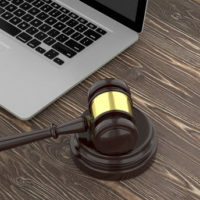 A common trial strategy used by many plaintiffs is attempting to have an array of product risks admitted into evidence, even if the plaintiff was never actually exposed to those risks. In essence, these plaintiffs are throwing mud against the wall in the hopes that it will stick and thereby increase the likelihood that a jury will award them damages. Plaintiffs sometimes argue that, even though they never encountered the risk, it would have been so severe if they did that they would not have used the product if they knew the risk. Such an argument is specious at best and should not carry the day in a Texas court. Why? Because there needs to be a proximate cause between the alleged harm and the product that is the subject of the suit. Similarly, in Mills v. United States, a plaintiff’s alleged harm from the swine flu vaccine was the subject of clear, known warnings related to the vaccine. This caused the plaintiff’s counsel to try and claim that warnings about other conditions were insufficient. The court in Mills held that, since the plaintiff did not have the injuries the lack of warnings about them were not relevant to their case. The court stated that the issue surrounding the adequate nature of a warning in a product liability lawsuit must be confined to whether the warnings were enough to the plaintiff know of the risk of the particular condition that caused their injury or death. In Stahl v. Novartis Pharmaceuticals Corp., the plaintiff was prescribed a prescription drug and the evidence indicated that their doctor knew, quite well, the drug’s alleged risks. This resulted in the plaintiff alleging inadequate warnings about other conditions he did not have, but could have had from taking this drug. The court did not buy this weak argument and granted summary judgment in favor of the defendant. The court declared that it was unpersuaded by the plaintiff’s complaints that the warnings did not warn of death, liver failure, and the need for transplant since he did not suffer any of those injuries. The Stahl court articulated a clear rule in this context when it stated that a claimant cannot seek to impose a duty to warn on a manufacturer of damage not sustained. As you can see, many speculative and questionable arguments may be attempted by counsel for plaintiffs seeking a big jury verdict. That is why it is so important to have experienced, aggressive representation for you and your company. The law firm of Colvin, Chaney, Saenz & Rodriguez, L.L.P. is ready to help. Our firm is comprised of Brownsville product liability defense attorneys with experience defending product manufacturers facing any type of liability claim. Contact our office today to schedule a consultation.